Defining a Creative & Digital green landscape. Branding, Website Design & development. From the outset, we realised GreenCity Solutions’s vision was to provide the greenest IT and communications solutions and guaranteeing support for those solutions to the highest level. Their passion to deliver IT solutions at a high level was infectious in a saturated industry. Due to the high demands businesses now expect to ensure their communications are always online, efficient and resilient, they knew that they could make a difference. 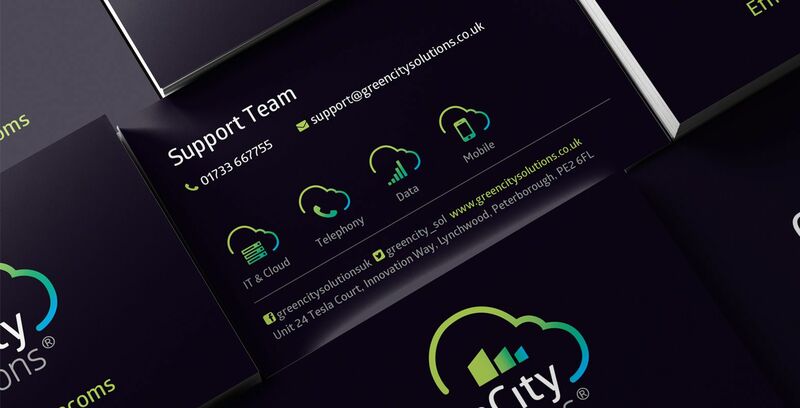 For GreenCity Solutions, being based in Peterborough means they have been able to be a major IT and Telecom provider not only in Cambridgeshire, but the surrounding area. Brave were brought in with the task of carrying out a full branding exercise collateral development, through to building their online presence. 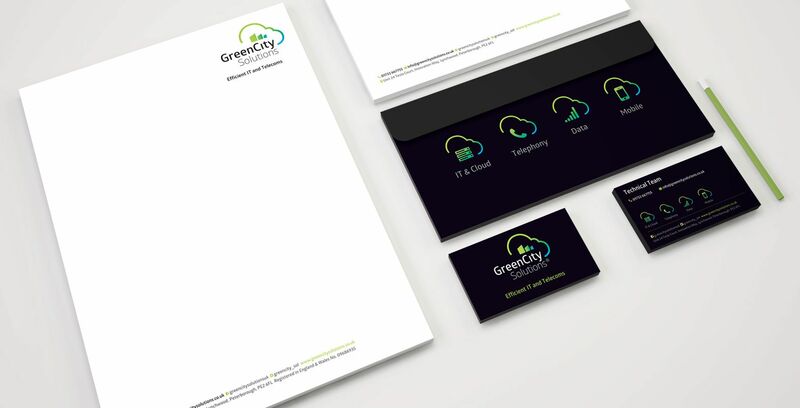 As with a lot of clients embarking on a rebrand, Green City Solutions needed to remain in touch with their existing clients/audience and ensure they stay relevant and attractive at all times. They also decided to rename their business due to growing requirements, the extra services they were introducing and new acquisitions to bolster their offering. The challenge for us was to understand that Green City Solutions is a company with innovative products and services that blend the best of technology with the human touch, whilst portraying them as being there, even in a moment of IT crisis as emergency responders. 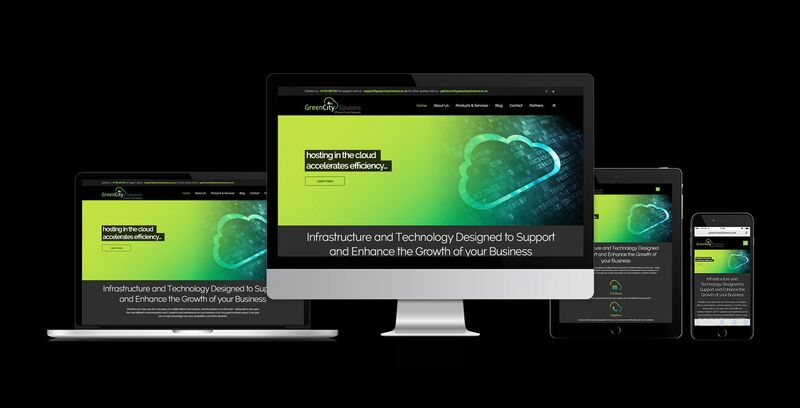 From strategy to launch, Brave leapt into action to help this smart tech company establish and uplift itself all whilst highlighting Green City Solution’s appeal: experience, knowledgeable, flexibility, high tech, ease of use, and peace of mind backup for any business’s IT and Telecom’s requirements. Before any website design workshops took place, a full analysis was undertaken to understand the existing brand’s strengths and weaknesses. This included both the analysis of their previous digital offering, heat-mapping and individual user testing groups. Internal scoping workshops were held at Brave with the client’s internal stakeholders/marketing to review the findings and help define the website requirements and customer journey. Brave then produced visual layouts for the new website. These ensured that the new brand offering flowed well into the site’s structure. The final website delivered ensured a well-structured, responsive, future-friendly experience, that has provided Green City Solution with a solid digital platform on which to roll out future service streams and new IT product offerings. From the bottom up, Brave developed a compelling, sophisticated brand identity to help Green City Solutions stand out from an ever-growing crowded market — brand strategy, logo design, print collateral and web design. Brave worked directly with Green City Solution’s marketing manager to provide guidance on maintaining a consistent brand and message throughout. Brave have delivered a dynamic, multi-media brand that speaks to existing and prospective customers with a clear voice, both visually and verbally. 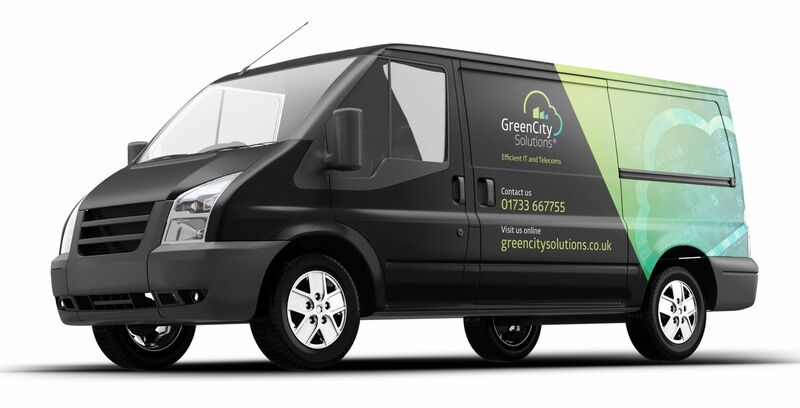 Green City Solutions is now supported by a clean, strong and polished brand identity and a website which will grow as an integral part of their sales and marketing strategy.